Those that know me will know that I have a 'thing' for luggage. I've travelled over two million miles in the last decade and learned the value of good packing & good luggage long ago. I also have a passion for learning about what makes companies resonate with others - and have collected a substantial list of behaviours and attributes that seem to work for most. 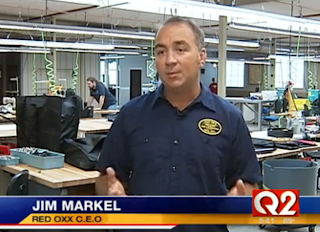 Red Oxx is a company based out of Montana which fulfils all those criteria for me, and I recently discovered this news segment in which their CEO Jim Markel explains how employee engagement creates committed employees who get involved with company growth. (Click here to see the video). Jim and the team have figured out the secret to keeping employees motivated. They capture the emotion, passion, strengths and values of every employee and demonstrate it with every action they take - be that creation of a better working environment or getting great new innovations into practice. Fundamentally, as he explains "It's all about building culture within your company". 1. This is a company that fundamentally does the right thing, they follow what they believe in and demonstrate it in thought, word and deed. Their public persona matches their private behaviour. 2. The passion for their products shines through, the things they create are loved by those that work there, and it shows in the quality and attention to detail. 3. Ethically they fit into my personal world view - whilst they manufacture an American product from mostly American materials in America using Americans, they also support a community in Guatemala creating the monkey fist zip pulls used on the bags - they don't promote this much, it's just something they feel it's right to do. I like the pride in domestic product and humility in helping those with less opportunity. 3. Their customer service is not just amazing, it's human too. If you call them, don't expect to get anything other than an engaged, charming and passionate person on the other end of the line who's willing to help. 4. Nothing is too much trouble. Five years ago we needed a very odd shaped, but simple bag to transport an infant car seat on vacation. The bag was with us in a few days - and the only additional cost from a standard bag was proportional to the additional fabric. I like to buy things from companies I believe in. Hearing Jim talk about employee engagement reinforces my opinion and experience with the company. As you read this today, think about the companies you patronise - how many fulfil the criteria that work for me. Is your company behaving in this way? What are YOU personally doing to promote passion and engagement in those you work with, work for or manage? 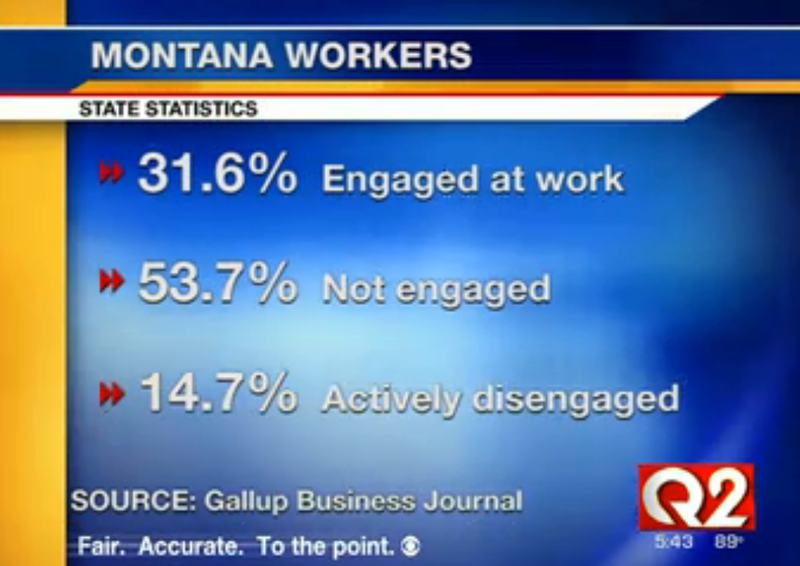 Want to learn more - take a look at Gallups latest on Employee Performance and Engagement here. Then visit the UK's Engage For Success project for more examples and see how you can help.